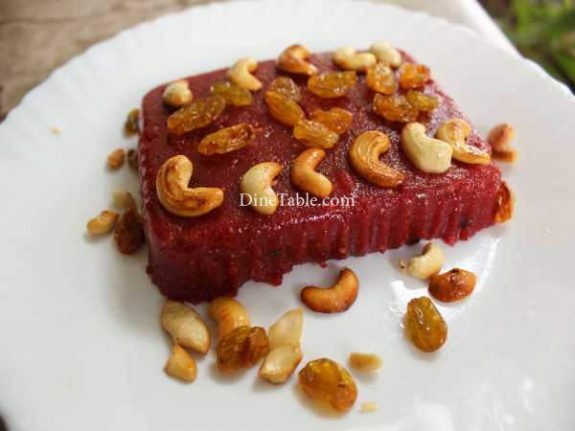 Beetroot Rava Kesari is a simple sweet dish and it is easy to make. This kesari’s colour is so tempting that anyone would want to taste. Beetroots are high in immune-boosting vitamin C, fiber, and essential minerals like potassium essential for healthy nerve and muscle function and manganese which is good for your bones, liver, kidneys, and pancreas. Beets also contain the B vitamin folate, which helps reduce the risk of birth defects. 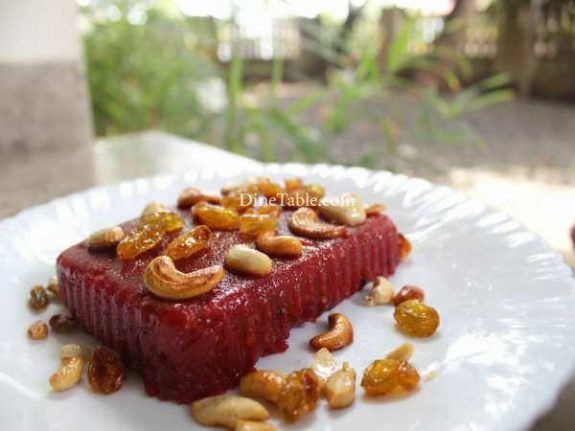 Try this beetroot rava kesari at home. Peel off the beetroot skin, clean with water and grate it. 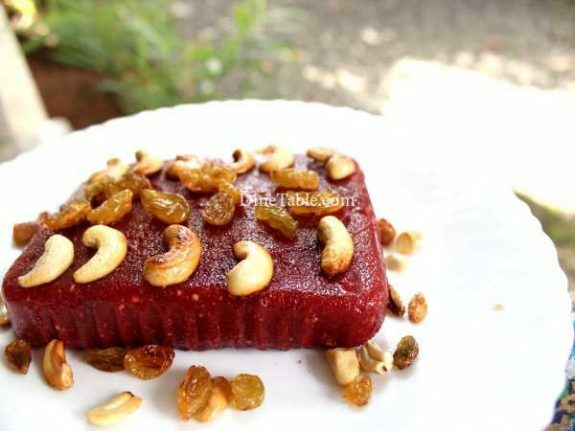 Blend the beetroot and 300 ml of water in a blender. 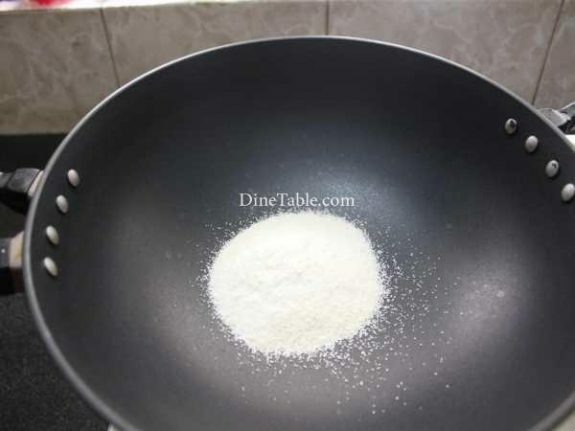 Filter the mixture through a sieve and extract the juice. 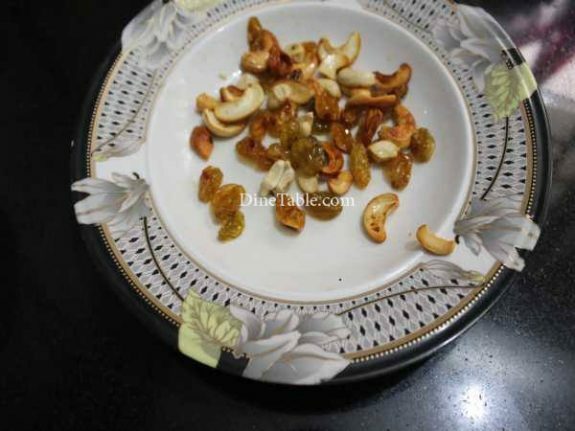 Dry roast rava and keep it aside. 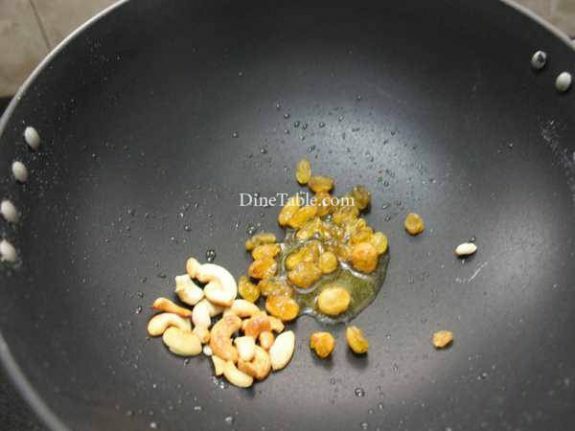 Heat 1 tbsp ghee in a pan and roast cashew nuts, raisins and keep it aside. 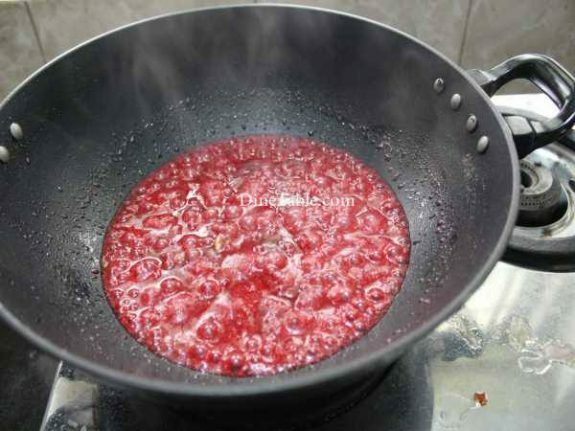 Pour beetroot juice in the same pan and let it boil. 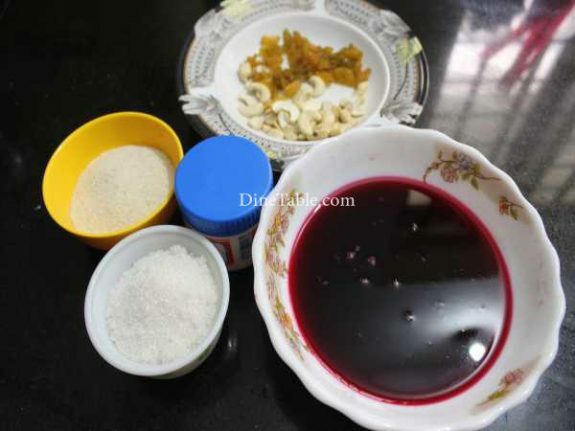 Add 2 tbsp of ghee to it and add one cup of sugar and mix well. 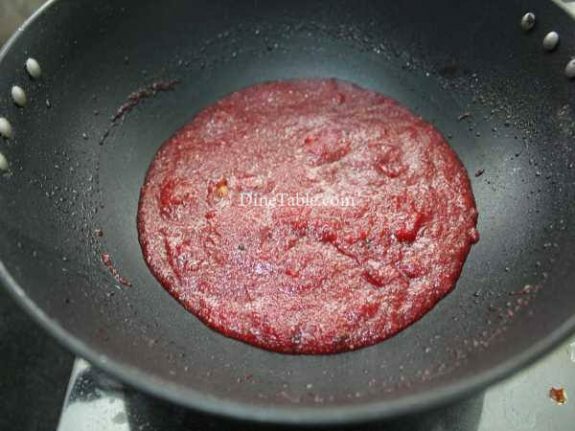 When the beetroot juice boils add the fried rava into it little by little and stir well for 5 minutes in a low flame. Add cardamom powder and mix well. 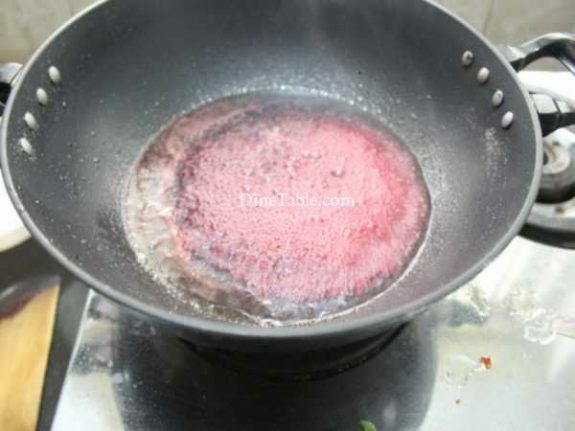 Then add 2 tbsp of ghee and mix well. 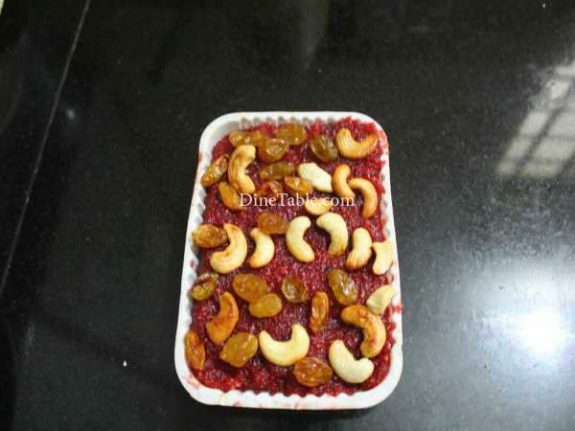 Finally add the fried cashew nuts, raisins and mix well. Switch off the flame. 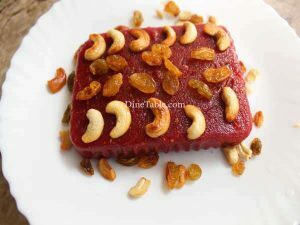 Tasty Beetroot Rava Kesari is ready.